A software and hardware refresh is working wonders for Windows Phone, it seems, as Microsoft today stated that sales of its smartphones have quadrupled from last year. Windows Phone 8, a rebuild of Windows Phone moving it to a shared core with Windows 8, and new handsets, especially from Nokia and HTC, appear to be dramatically lifting the yet small smartphone brand. TNW can corroborate that second point to an extent, as we have seen persistent notes of short supply of Lumia-line devices in Nordic countries. 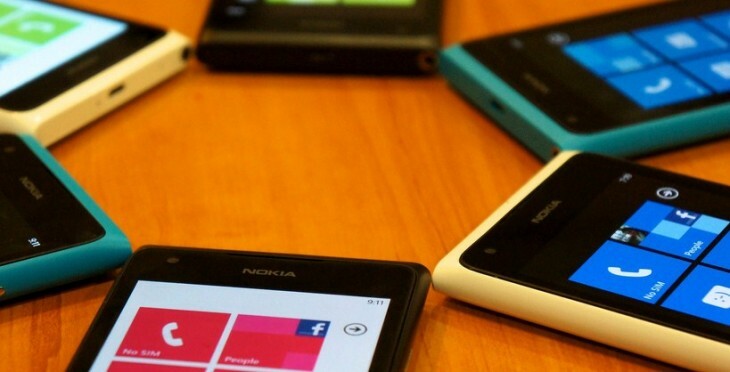 Windows Phone has yet to reach the sort of sales scale to set it apart as the truly third smartphone brand. However, if it manages to maintain its current sales momentum, and post unit volume of four times its last holiday tally, it could reach that status. Competing with Android and iOS is no simple task. Apple is a pioneer in the smartphone space that has demonstrated a blend of persistent innovation, and recently, price flexibility in its smartphone line to reach several socioeconomic demographics. At the same time, Android has taken on the position in the smartphone market that Windows has long enjoyed in PCs: the low-cost, volume leader that also has the ability to sell high-end devices to enthusiasts. To find its own niche, Windows Phone is positioning itself as almost an anti-smartphone, cutting through the complexity of Android, and the now-standard iOS interface to provide users with a simpler, people-focused experience. And at last, it appears to be resonating with consumers. Third time is the charm, it seems.